We are Santa Maria, but are we the same as everyone else? It’s always useful to recall that until about two years ago, you could get a bus to stop and pick you up in Rio de Janeiro merely by raising a finger. Life occurred as if everyone knew everyone else, a city of cousins and aunts and people you’d gone to school with. And this was often truly the case. The tragic nightclub fire in southern Brazil demonstrates that the phenomenon exists just about everywhere in the country. At all levels of society, a web of personal connections takes precedence over institutions and laws. Behavior thus flows from the assumption that not all Brazilians are created equal. One’s family, colleagues, friends and contacts are more important than everyone else. And so the common good is relegated to the back seat. As is much that resides in the public sphere. This is why, for example, some of the best Brazilian modern art is housed in private homes. Overriding trust of the familiar feeds on itself, since those who run institutions often treat them as if they serve a relatively small group, not a municipality, a state, or the nation. And so continuity yields to revolving-door interests. Mercedes Guimarães, owner of the port-area house under which as many as 30,000 slave skeletons were found in 1996, says she never turned the property over to a government agency, for fear of lagging support. As if to live up to her expectations, close to Guimarães’ slave “cemetery” museum, the city of Rio has just reportedly left seven containers full of rare and valuable archeological slavery-era artifacts discovered during recent port revitalization excavations, with no provision for upkeep. The clan promotes its interests and protects its members. The degree of protection afforded is greater at the top of the socioeconomic pyramid, and least at the bottom. Traditionally, tragedy befalls Brazilians with least recourse to a powerful group. Ergo, fatalism. In Brazil’s most important cities, there are gangs of public servants, brokers and police that specialize in charging bribes and the purchase of permits. Nighttime entertainment executives in São Paulo say that delays and bureaucracy force them to hire “consultants” to get permits. Officially, the consultants advise clients on the correct placement of fire extinguishers and sanitation issues. In practice, they also do the dirty work of negotiating bribes with city inspectors to permit nightclubs to open. “We’re talking about corruption with a nota fiscal (bill of sale),” says one São Paulo businessman. The amount paid ranges from ten thousand to a hundred thousand reais, depending on the size of the establishment. To avoid the trouble, many clubs simply ignore the need for permits and open their doors without even trying to get them. Their owners prefer to pay fines, instead of paying the bribes up front. Currently, only a third of São Paulo’s nightclubs have been fully inspected by the fire department. And so, in Rio de Janeiro in October 2011, a gas explosion occurred at a restaurant on Praça Tiradentes, killing four. Then three buildings collapsed in early 2012, just behind the Municipal Theatre, killing 22. In the first case, the owners allegedly stored gas cannisters, which is illegal; in the second, renovation workers removed supporting pillars, unknown to city inspectors. Thursday, O Globo newspaper reported that Rio has 49 public venues operating without authorization from the fire department. Of these, 36 are run by the city, with the remainder under state aegis. 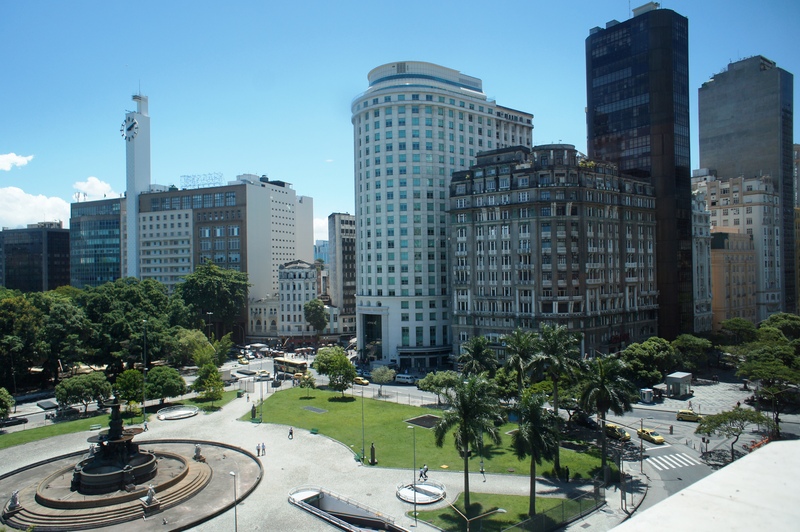 These include the highly-regarded Parque Lage arts school, the sophisticated Casa França-Brasil art gallery and the Carlos Gomes theater, among other venues that are central to the experience of culture in the city. 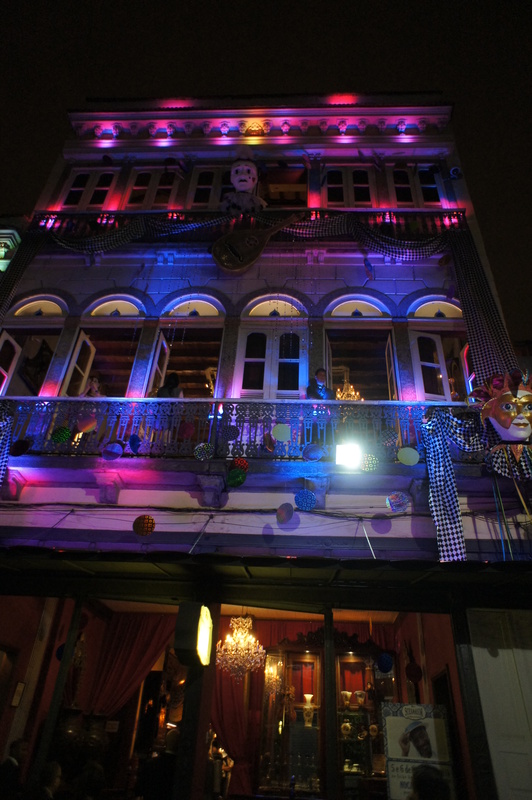 Today’s Globo reports that all venues will be shut down for twenty days, until inspections are completed. Yet according to the paper, the shutdown left leeway for some venues to function without a permit after the twenty days, as long as patrons are in no immediate danger and the needed work is undertaken. Many poorly-equipped venues were already in fact in exactly such limbo, which is probably what led recent municipal culture secretary Emílio Kalil to say, as quoted in O Globo, “I am completely surprised by this [news that so many venues functioned without a permit]. I thought they had permission, no one told me”. Thursday, city officials shut down more than a hundred privately-owned venues. Now cariocas have begun looking over their shoulders for safety exits– beyond their private circles and territories (and even these rarely have fire escapes). Facebook users this week circulated a picture of corroded supports on the Joá overpass connecting São Conrado and Barra da Tijuca, demanding that mayor Eduardo Paes upgrade planned repairs. Whether in response to this or for other reasons, Paes did announce he’ll spend more. The UFRJ graduate engineering school, COPPE, which performed a structural study, hasn’t commented publicly on the decision. The COPPE study claimed the overpass could collapse and should be completely rebuilt. Many Brazilians fear that the hasty and rigorous responses to the Santa Maria nightclub fire, nationwide, will be a flash in the pan, disappearing as soon as Carnival or some other event occupies most minds and hearts. For the clan systems tends to self-perpetuate. But socioeconomic change, both nationally and in Rio de Janeiro, is starting to challenge it, providing reason to believe that society is slowly beginning to trade private interests for the public good. As millions leave poverty and gain access to the formal job market, becoming digitally savvy, traveling, consuming– and powering the national economy– members of traditionally more powerful groups find it harder to to discount them as second-class citizens. As the socioeconomic pyramid widens, the sociocultural abyss is closing . “We are Santa Maria” was the title this past week of many an article and Facebook post. And as Rio turns itself around, the old fatalism gives way to new possibility– and responsibility. The digital activism group Meu Rio yesterday launched a campaign to close the Joá overpass. Popular outcry recently reversed state and city plans to demolish a nineteenth century building that once housed the Museu do Índio (though it remains to be seen where Indians who camp out there will go), and a topnotch public school in the path of bulldozers received a similar reversal (albeit temporary) in late December. Even as the archeological finds moulder in the port area, the city has for the first time erected protective fencing around the 18th century Saracuras fountain by Mestre Valentim, in Praça General Osório, to protect it from Carnival revelers. This sends a message about the value of that which occupies public space– hopefully also to vandals who attacked it late last year. Notably, many of the university students who died in the fire weren’t from the city of Santa Maria, where a large federal university is located. They came from small towns in the state of Rio Grande do Sul, set to move up in the world, with jobs in engineering, veterinary medicine, agronomy and dentistry. They were part of a generation that could be considered Brazil’s baby boom, at long last with enough disposable income and access to scholarships and quotas, to be able to earn college diplomas and enjoy a show at a nightclub with friends. This is the generation that will trace Brazil’s path as a democracy and emerging economy, and it’s now marked by a huge tragedy that clearly arose from the precedence of interest groups over the public good. The transition from a village of clans to a metropolis of reliable and equitable institutions is by no means a straight and narrow path. As if to prove the point this past week, a dog decided to take a stroll on Rio’s eight-lane eight-mile Niterói bridge. It wasn’t the first time and may not be the last. This entry was posted in Brazil, Transformation of Rio de Janeiro / Transformação do Rio de Janeiro and tagged Santa Maria nightclub fire. Bookmark the permalink. 9 Responses to We are Santa Maria, but are we the same as everyone else? Lucid analysis, very well done. Clever description of administrative paralysis: Complicar para depois simplificar (e corromper, eu adicionaria). Parabéns, julia. All I can say is, you are every day better. Parabéns poucos brasileiros conhecem e explicam o pais tão bem como você! Eu diria….aflitivamente……..fazer o quê????!!!!!!! My God!!!!! Julia, Brilliant insight, as always.